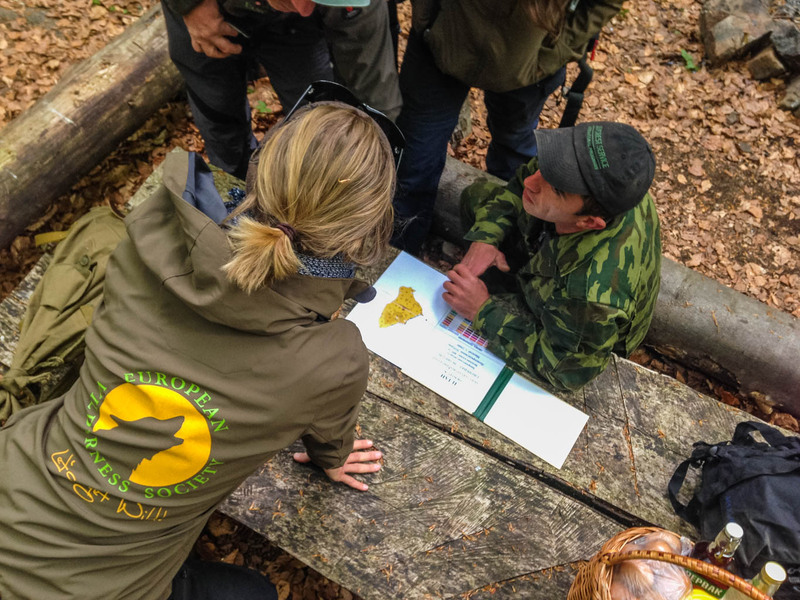 After the field assessment the European Wilderness Society verifiers worked in the office to summarize collected information and analyse wilderness/core zone of Zacharovanyy KrayNational Park (ZKNP), Ukraine. During the 7 day trip to ZKNP the Verifiers of European Wilderness Society gained a good overview thanks to the various meetings and extensive field/bush walking trips. Verifiers visit included investigation and assessment of all corners of wilderness/core zone, demanding trip along the east and north park boundary, visit and assessment of the tourism development/restoration zone and also economical zone. The demanding days full of discussion and physically challenging work focused on collection all needed data and to understanding also lager context of wilderness conservation in this park, region and Carpathians. Field trips provided overall information about park management, connectivity with surrounded areas and mainly on quality of wilderness/core zone. Particularly important was the first hand knowledge learnt from rangers, working with them in a field, hiking, having formal and informal discussion. Office days were full of internal discussion and dispute, the process helping to identify gaps and missing knowledge and so set up priorities for the following steps. Outcome of this process is the draft report. This process included regular communication with park partners and analysing information collecting during demanding days in the field. National Park “Zacharovanyy Kray” was established by the Decree of the President of Ukraine in 2009 at the territory of Irshava district in Zakarpattya region. The purpose was to protect, revive and effectively use typical and unique natural ecosystems of Eastern Carpathians, which have important nature, aesthetic, scientific, educational, recreational and health improving values. The area protects part of the large mountain complex with internationally important natural habitats and species. There is long and strong positive attitude of local people to this territory which can be also illustrated in the name of protected area: Zacharovanij kraj – Enchanted land. The Park Administration is nature protection, recreation, cultural and educational, scientific and research institution of national importance. The park is a part of nature protection fund of Ukraine, protected as a national value, and therefore the area has a special regime of protection, management and use. There are no villages at the park territory. The park area (particularly in tourism development /restoration zone and economical zone) includes many km of unpaved roads. The park area is also crossing by line of gas pipelines buried in the soil currently use for transport of liquid plastic and also one electricity line. Small populations of lynx (Lynx lynx) and wild cats Felis sylvestris, otter (luttra luttra), etc. The desk work ended up with 58 findings – issues did not fully complain with the European Wilderness Quality Standard and Audit System. In the next step the verification team in cooperation with management of Zacharovanyi Krai National Park will discuss these issues and will looking for the way how the most effectively sorted out them – set up priorities, timeline for step-by-step activities with the goal to improve management of wilderness area in this park.